NC Community Associations Legislative Update - Ward and Smith, P.A. The North Carolina General Assembly has adjourned its 2013 "long" session and has enacted a number of pieces of legislation of which community association managers and the members of the boards of directors of both condominium and planned community associations (each, an "Association") need to be aware. Ward and Smith, P.A. 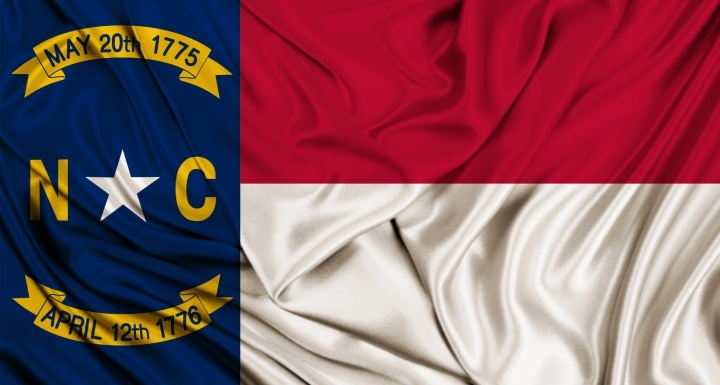 's Community Associations and Government Relations Practice Group professionals have been following these pieces of legislation so that we can keep you informed regarding potential changes in the way Associations operate in North Carolina. "Adjournment" means that the General Assembly has completed its 2013 long session. However, the General Assembly can still be called into interim sessions to consider whether to override a gubernatorial veto or to consider specific policy matters. Absent any interim sessions, the General Assembly will convene its 2014 "short" session on May 14, 2014. The leaders of the General Assembly indicate that they do not expect any interim sessions. While the General Assembly may not be holding formal sessions during the interim period between the adjournment of the 2013 long session and the beginning of the 2014 short session, numerous study committees will be meeting to discuss proposed legislation. For example, much of the legislation described in this update grew out of a legislative study committee that was tasked with studying the state's community association laws. We will monitor any study committees that meet in the interim to discuss the state's community association laws will provide you with relevant updates. Below is an update on the status of legislation that is important to community association managers and board members of Associations. We also have provided links to the bills that have either become law or made the crossover deadline if you would like to review them. Any properly adopted amendment to a planned community's Declaration is presumed to be valid and enforceable if adopted pursuant to the Condominium Act or the Planned Community Act or the procedures provided for in the community's Declaration. This portion of SB 228 becomes effective on October 1, 2013. Provides that, unless a settlement is reached in mediation, no statement made during the mediation will be admissible into evidence if the dispute goes to trial. It should be noted that the pre-litigation mediation is completely voluntary, but the annual notice to all owners regarding the right to mediation is mandatory. With limited exceptions, validate non-judicial foreclosure proceedings and related sales that occurred prior to October 1, 2013. It is very important that you understand the new lien process, and we would be happy to discuss it with you. HB 330 would clarify the rights and obligations of transferors and transferees of special declarant rights, whether such rights are transferred via a voluntary transfer or via foreclosure or bankruptcy. This bill has been referred to the Senate Rules Committee, which usually means that it will not be considered by the Senate. However, we will continue to monitor this bill and keep you informed of its status. An audit is requested pursuant to a majority vote of the Association's board of directors or the unit or lot owners. Require any Association with annual revenues or expenses in excess of $150,000 to obtain an annual financial review of the Association's financial statements and operations by a certified public accountant. HB 793 passed the House and the Senate Commerce Committee and is currently pending before the Senate Insurance Committee. The fact that it has already passed a Senate committee indicates that it has a good chance of becoming law during the 2014 short session.